A rare Welsh Beef canapé proved a hit with Prince Harry and his fiancée Meghan Markle during their first official visit to the country recently. 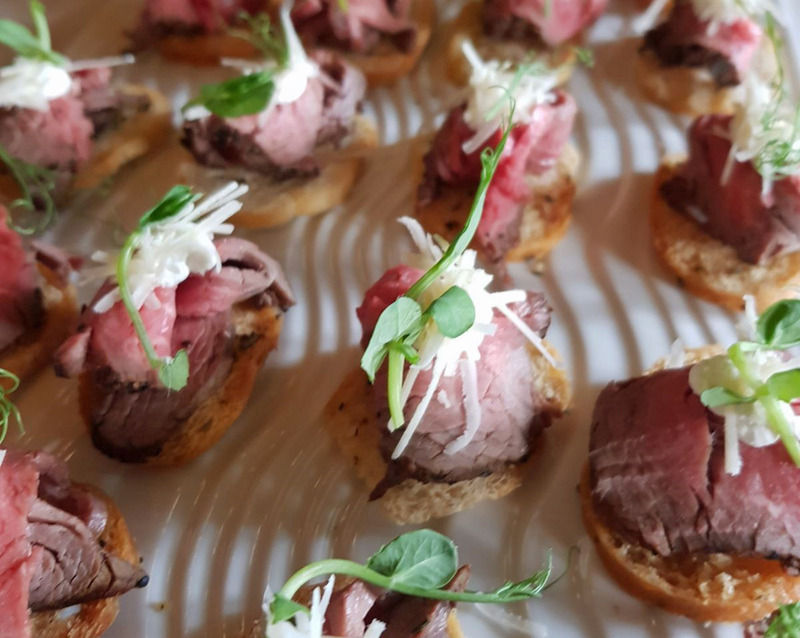 The canapé – rare Celtic Pride beef fillet, horseradish cream, rosemary crostini, Parmesan shavings and truffle oil – was prepared by chef Colin Gray, managing director of Caerphilly-based Capital Cuisine. Colin’s company was asked to provide the catering for 25 distinguished guests in the royal party attending a festival celebrating Welsh culture at Cardiff Castle. He and his son, Daniel, served up a menu packed with Welsh produce and was delighted with the positive feedback from the guests. “Before leaving the castle, Prince Harry sent his bodyguard back in to fill a napkin with the rare beef canapé for the couple’s journey home,” said Colin. “It was very satisfying to receive really good feedback about the food. The menu fit for a prince comprised: potted Welsh crab, lemon and mace butter, laverbread tuille and micro cress, Cardiff Gin and Halen Mon cured salmon, lemon and chive cream and ciabatta crisp, Pantysgawn creamed goats cheese, beetroot macaroon, beetroot and red onion marmalade, Perl Las, celery, walnut and apple matchsticks, Trealy Farm charcuterie, celeriac remoulade, edible flowers and granary crispbread and Capital Chicken liver parfait, spiced pear and grape chutney and toasted brioche. 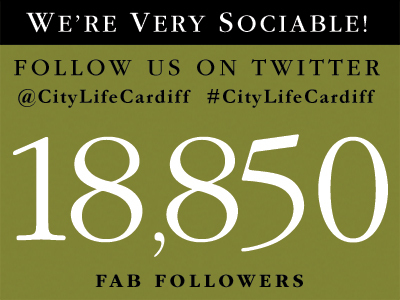 Capital Cuisine worked alongside Cardiff-based Orchard Media, who managed the event for the Welsh Assembly Government. Colin, who is vice president of the Culinary Association of Wales, has now catered for four generations of the Royal family. As a member of Culinary Team Wales, he catered for the late Queen Mother, the Queen at the state opening of the National Assembly for Wales, Prince Charles at his Highgrove home and now Prince Harry. Next up for the talented chef is judging at the Welsh International Culinary Championship at Grŵp Llandrillo Menai, Rhos-on-Sea from February 12-15, a cooking demonstration at Gulf Food exhibition in Dubai at the end of February and judging at Hotelympia, London on March 5.